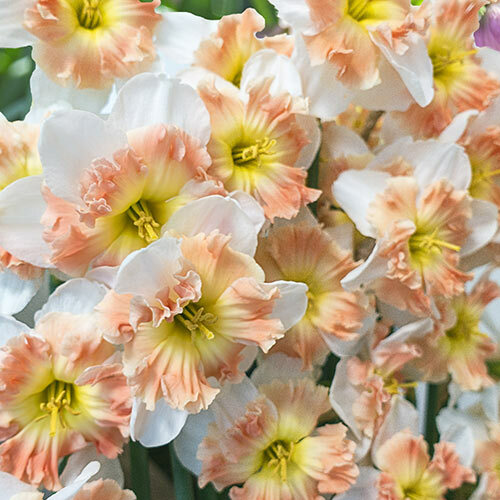 Award-winning daff in a trio of springtime hues on a showy, split-corona form. Icy white petals surround a frilled cup of deep pink with a broad yellow base. A beauty in borders, beds and bouquets. Plant in pots for portable pizzazz. Exceptional garden performer; loved by Butterflies and naturalizes nicely. Split cup, 4" in diameter.